The Designer Series offers the perfect combination of style and functionality. 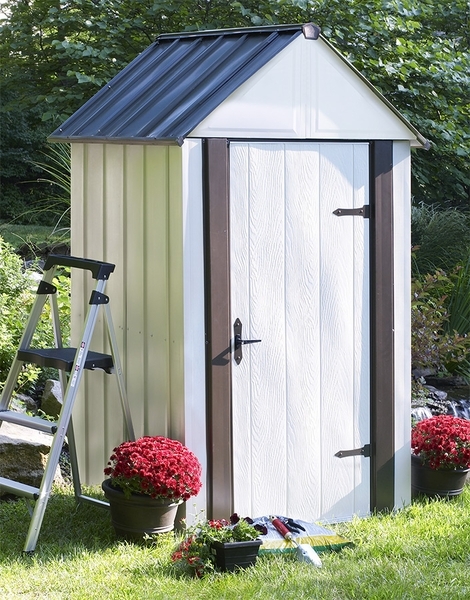 The 4' by 4' Metro Shed, with its smaller footprint size, is ideal for smaller spaces and includes a built-in floor to keep items safe and dry. A total of 17 sq./ft of storage offers a handy amount of storage for smaller yards, and the decorative trim on the building allows the Metro Shed to blend well with your home's existing decor.